Back from our trip to Sault Ste. Marie in Michigan's Upper Peninsula (often called the "Wild U.P. "), where we had to get some passport things (NEXUS cards) sorted out. Also, visited my friends from the old neighborhood in Ann Arbor (fifty years!) who now live in Brimley, Michigan, David Loup and his wife Kathy. They were kind enough to put us up, feed us, and give us a good time. Here is an iPhone photo taken when we went for a long walk out to this beaver pond. 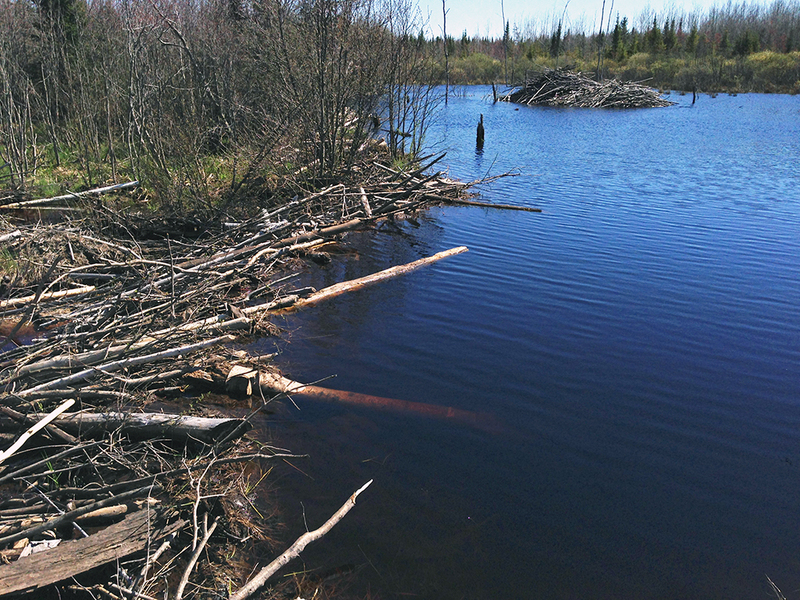 The beaver house is about 10-feet high from the water and the dam, which runs along the left side of the photo, extends all the way to the house. Quite a project! There is a bit of a rivalry between Michiganders who live in the Upper Peninsula and those of us who live in Michigan's Lower Peninsula. The Yoopers (as we call them) refer to us as trolls because we live under the bridge, the bridge here meaning the Mackinac Bridge that connects the two peninsulas.